The other day I was crossing a busy street at a walk sign. An old couple was also crossing, s-l-o-w-l-y. As I began to overtake them I noticed a car edging close, trying to intimidate them into speeding up. I slowed and moved between the couple and the car, pacing myself with the couple and making eye contact – not aggressive, but deliberate – with the driver. The car stopped pushing closer, clearly cowed by my 160cm frame and combat-honed muscles. The elderly lady whispered Oh thank you dear, you’re so kind, as she and the man continued their protracted progress. We got to the other side and I wished the couple a happy day and walked on. But the truth is, my small good deed was instinctive and took neither thought nor effort, so deserved no credit. It was a basic, fellow-human thing, probably programmed into my DNA because, evolutionarily speaking, it has social value. But– not so fast! Being kind to strangers is not always so easy. Especially if you’re an introvert. Especially if you preemptively dislike strangers because it simply saves time. Especially if you often feel all peopled out. How was it that an extreme introvert like me could act out of character – approaching strangers, making eye contact in a potentially threatening situation? And easily, comfortably, happily? This wasn’t even an isolated thing. I’ve often encouraged new, struggling participants in combat class, spoken to strangers who seemed to be in distress, offered help to random individuals. Yes friends, I’m talking about proactive, voluntary interactions with unknown persons. Egads! I believe the reason I can easily be kind is that I don’t deplete my people battery by being nice. Your people battery? you sigh with resignation. Another one of your theories? The first prong of my theory is that everyone has a people battery – a store of energy for interacting with people. The more extroverted you are, the bigger your people battery. You can chat and network and meet strangers and go to parties and toss your people resources around like mason jars at a hipster cafe and still have plenty of charge on your people battery. 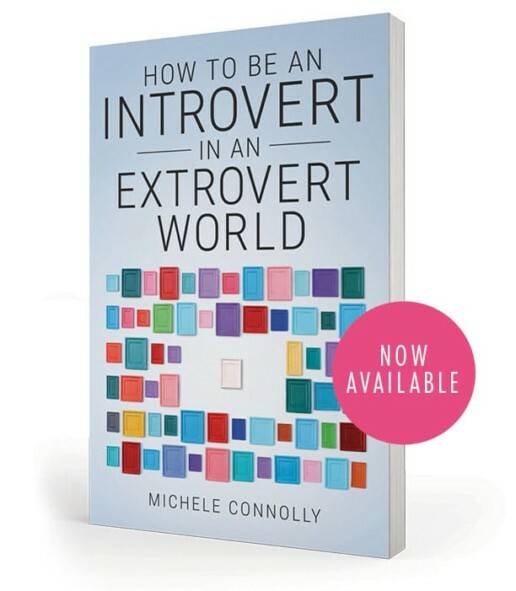 Conversely, the more introverted you are, the smaller your people battery. You simply don’t have a large cache of psychological resources for groups and stranger interactions and personal space invasions. You need to preserve your battery charge with care or you get all peopled out. The second prong of my theory is that different kinds of people interactions require different amounts of battery power. This is why it was easy to help the elderly pedestrians, even for an extreme introvert like me. Being kind feels good. Psychologically, it costs nothing. According to this theory, it’s only difficult for an introvert to be kind if their people battery is flat. And you know what drains an introvert’s battery faster than a bloated iOS update? Being nice uses tons of battery power. It’s a massive drain on an introvert’s social resources. Why Is Niceness So Draining For An Introvert? Why does niceness cost introverts so much? Being nice can involve multiple forms of social exertion and what feels to an introvert like insincerity. This can cause the average introvert to long for a zombie apocalypse and/or armageddon in order to escape the situation. You have to think up things to say – often phoney things, not how you genuinely want to interact at all. Perhaps you have to shake hands – eww. Often you feel pressured to show interest in something that makes your eyeballs want to roll back into your head. Maybe you’re asked questions that seem intrusive coming from someone you barely know. Frequently there’s small talk, chit chat, superficial banter with people straight from circle 2 of introvert hell. And then of course you need a fake smile plastered across your face to disguise the fact that you’re internally screaming. For an introvert all of this is mentally taxing and emotionally exhausting and utterly battery depleting. If your default position is to always be nice, then you may wonder if there’s much difference. Doesn’t being kind include being nice? Being nice takes energy, tons of it. Being kind gives energy – you feel enlivened by it. Being nice makes at best a small difference to someone’s day. Being kind can make a huge difference to someone’s day. Being nice can feel fake. Being kind always feels genuine. Being nice may be superficial. Being kind goes deep. Being nice is about you, wanting the other person to like you. Being kind is about them, attending to a genuine human need. I’m Bart Simpson, Who The Hell Are You? I was working at home one day when there was a knock at the door. No one had buzzed the intercom, probably because I keep it turned off. The knock was coming from inside the building. Irritated at losing my hard-won focus and worried about a deadline, I grumped off to answer the door. A woman I didn’t know, without introducing herself or asking if it was a convenient time, hit me with a barrage of questions about the building. I blinked and heard myself say, channelling Bart Simpson, Who are you? Turns out she was a prospective purchaser of one of the other apartments. I didn’t know the answers to her questions and politely suggested she ask the agent. She wanted to keep talking but I said I was in the middle of something and needed to return to work. Was I rude? Maybe. I certainly wasn’t ‘nice’. Nice would have been faking interest in her questions, guessing at answers I had no idea about, standing there and chatting until she wound things up, while silently fretting about my deadline. Nice would have been insincere – all sweetness on the outside and vexation on the inside. Nice would have been getting back to work 20 minutes later having lost my train of thought and peace of mind while contributing zero help to the woman. I’m okay with not being nice. I don’t shake hands, or show concern I don’t feel over strangers’ woes, or feign interest in small talk, or try to be liked by people I don’t know. It’s clear to me I have a nano people battery, a minuscule quantity of resources for dealing with people, especially strangers. I save my people juice for those I truly care about, and I always have plenty to spare for kindness. If your people battery is large enough for you to be nice and also kind, then great – do both. But if you’re always running out of people juice then consider cutting back on the things you do and say out of social niceness. You don’t have to be rude, you can remain polite and considerate. But once you feel insincerity and frustration taking over, it could be a sign you’re tipping into nice territory and draining your people battery. As an introvert you need to be protective of your people resources. It will give you heaps more energy for your loved ones. And for being kind. I like this. I too find people very draining and always need to recharge with some silence and solitude (bar the menagerie!!). I have had to do a lot of nice in the past, mainly for work, and since I career changed it’s bliss not to have to fake it! I do try to be kind, help my elderly neighbour with shopping etc. Sometimes I wonder if I do it simply to be liked, or because I genuinely can’t help myself if I see someone in need. Most of all I wish I didn’t spend SOOOOOO much time over-analysing and just got on with life!! Yay ! Can’t wait to read it. Aha! Excellent explanation. I remember vividly in high school when I came in between a bully and a friend without thinking. It still gives me energy 30+ years later to think about it (and it only required a couple words forcefully said). I’ve socially adapted so that I can talk to a pole if need be (adulting). However, I tend not to remember a thing that was said in these “nice” conversations. And, yes, I am drained afterwards. Thanks for the article. I will share (via social media) with my fellow introverts. Interesting! It’s nice to know there’s a difference. I truly do like helping people, but mostly if I initiate. If they ask (or tell me) to do something, I feel put upon. I agree, Stephanie. It has to come from inside or it has a completely different energy. Great article with some terrific sayings–love ‘people battery’; will use it! You could send your extrovert partner this link: http://louderminds.com/7-things-introverts/. I hope it help! Great article, much of which resonated for me. And that thing of having someone knock on your door when you’re immersed in something..yes!! But I don’t know if there is so much of a distinction between ‘niceness’ and ‘kindness’ – except perhaps that elusive sensation of ‘truth’…i.e. how genuine and heartfelt it is. “Good manners cost nothing” and I feel that kindness (even towards strangers) has to be a given, no matter how energetically drained I am. I try to apply the ‘pin principle’ to cultivate the same feeling of kindness and friendliness regardless of whether someone is rude or unknown vs kind and known to me. The hardest I thing, I’ve found, is dealing with people who are truly toxic, selfish and rude and with whom there is an ongoing (hard to avoid) relationship: for me, they are the ultimate battery drainers…would love to see an article on that! My mom and I have used the phrase “peopled out” for a long time and I often feel like I am “all out of nice.” I had not really considered the difference between kind and nice until now. I tend to feel guilty when I am not nice, but there is the inner part of me that is screaming when I feel forced to listen to a protracted litany of problems. So, thank you for pointing out the difference. I don’t have to be nice, but I do need to be kind. maybe extroverts batterys are charged by personal interaction, and ours are drained? My “being nice” put me in harms way in 2013. It sent me to two years of therapy to get over it. The whole two years, my therapist kept saying, “Debbie, you are TOO nice.” I didn’t believe it was possible to ever be too nice. This article clearly explained the difference between nice and kind. I’m not so “nice” as I was…I am kind. Thank you for the enlightening article. Love it! Thank YOU Debbie. And you’re very welcome!